Suggested Solutions: How can Maurizio Sarri get the best out of Marcos Alonso? Chelsea slumped to a disappointing 2-0 defeat away at Everton on Sunday with their hosts capitalising on a poor second half from the Blues to ensure all three points remained on Merseyside. Maurizio Sarri’s utilisation of his key players has frequently been called into question, with N’Golo Kante, Ruben Loftus-Cheek and Callum Hudson-Odoi cropping up often – his decision to start Marcos Alonso at the weekend over the recently impressive Emerson also raised some eyebrows. Alonso has been first choice left-back at Stamford Bridge pretty much since he was brought to London by Antonio Conte and he was a key player in the 2016/17 title-winning season; he has fallen from grace since and is often scapegoated for his side’s underachievement. His display at Goodison Park was one of his worst of the campaign and the Spaniard looked like half the player he was under the previous Italian at Chelsea. How can Sarri get him back to his attacking best? We’ve taken a look at a handful of solutions Sarri might consider. 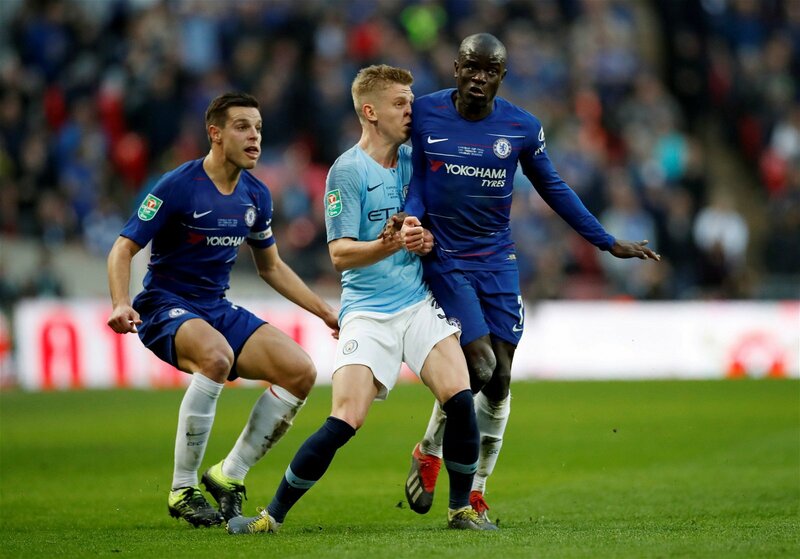 Much has been made of Sarri’s insistence on deploying the World Cup winner further upfield but Kante has been the ultimate professional we know him to be and has got on with it – in some style, too. The 27-year-old has added so much to his game this season and is still one of the best defensive midfielders in Europe – his tracking back will be crucial if Alonso is to be restored to his former glory. The left-back established himself as one of the most dangerous defenders in the Premier League when allowed to get forward and whip balls into the box, although it was evident against Everton that the confidence required to do so was completely gone. Perhaps switching Kante to the left of the midfield trio would give Alonso the security he needs to express himself on the front foot. A key part of Chelsea’s 2016/17 success was the introduction of a 3-4-3 system which gave the Blues defensive security and attacking threat galore – it didn’t quite go to plan the season after but it was good while it lasted. Conte tucked Cesar Azpilicueta into a back three and the Spaniard excelled in that role – he has since looked uncomfortable having returned to his right-back berth and doesn’t have the technical ability Alonso has. If Sarri can instruct the Blues captain to just tuck into a three instead of getting forward when Chelsea attack, there will be next to no pressure on Alonso to worry about where he should be if the opposition counter. He was poor on the back foot against Everton and was beaten far too easily. Sarri should relieve him of as many defensive duties as possible while he is in this bad run of form, otherwise he will remain a liability. Perhaps an entirely new role for the 6 ft 2 defender is necessary as he is clearly struggling at left-back in the current system. Sarri already has a plethora of midfield options to choose from but it wouldn’t hurt to have another. Alonso could perhaps deputise on the wing if necessary. After his woeful showing on Sunday, letting the number 3 anywhere near the attack is unthinkable but his apathy in defence is simply unacceptable so maybe he’s better off in the front three – if anywhere at all.